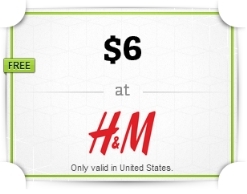 Send your friend a mobile $6 H&M Gift Card. Your friend will need a smartphone to be able to access this. It is offered through a company called Wrapp that I have personally used in the past....can't beat FREE gift cards. Your friend will thank you (my friend was my hubby so I now have some shopping to do).